09/12/2010 The F-22: Raptor or Albatross? 16/11/2010 It’s Okay to Talk Raptor Again: Once taboo, talk has resurfaced about the possibility of buying more F-22s. Carlo Kopp APA NOTAM #67 19/10/2010 F-35 JSF: Can It Meet Canada's Needs? Can America depend on the United States Air Force of the future? 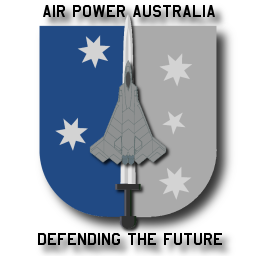 Editorial Independent Contractors of Australia 23/07/2010 Australian military aircraft (JSF): A bad deal? Peter Goon APA NOTAM #63 09/07/2010 F-35 JSF Program: When is “Affordability” Not? Greg Grant - Defense Tech - 30/06/2010 - China to Test Carrier Killing Missile On Fourth of July? Michel Chossudovsky - GlobalResearch.ca - 11/06/2010 - UN "Green Light" for a Pre-emptive US-Israel Attack on Iran? Security Council Resolution Transforms Iran into a "Sitting Duck"
Stephen Trimble - The DEW Line - 25/03/2010 - Congressional F-35 hater: "I think this will come back and haunt us ... as a monumental mistake"
David Axe - The Diplomat - 05/03/2010 - US Eyeing Asian Arms Race? Michael Goldfarb - The Weekly Standard - 17/02/2010 - Russian Raptor Killer is a "Game Changer" The end of air supremacy? Borzou Daragahi - Los Angeles Times - 08/02/2010 - Iran says it will build 10 nuclear plants, beef up military; The nation announces its plans despite international pressure and domestic dissent.